2011 will be the year of the location platform ‘wars’; and some consolidation is to be expected. Standards are needed in the areas of location, campaign and transaction. Some platforms will reposition their offering to a functional niche and some will try to strengthen their user base in order to become the category default. I think the decision for consumers and business to jump in the bandwagon will revolve more around privacy and convenience. For the latter, Geotoko is a giant leap forward. Geotoko is one central management application for all major LBM platforms. The platform’s own tools are generally considered to be too user-centric, lacking the control, reporting and most importantly platform-agnosticism that a business owner is looking for. Multi-site, multi-platform campaigns are a breeze with Geotoko, although the prize module still needs some work. 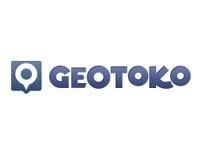 <edit> Geotoko announced a complete overhaul of the module in December, a.o. based on our recommendations. 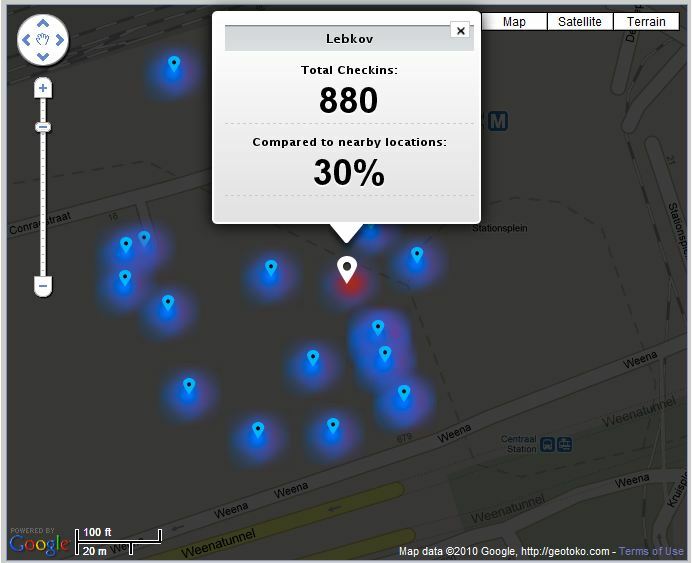 Reporting is very elaborate with location heat maps, location stats, check-in times and weekday statistics. Further integration with influence statistics from klout.com are in the works. The auto-generated campaign landing page has an opt-in feature which feeds a campaign database that can be used to contact the more involved customers. Nevertheless, anyone serious about using a combination of social position and location as a marketing tool, needs to be ready to listen and engage with their customers, before they act. Regardless of claims to the contrary, winning loyalty with your customers, still requires time and effort. More precisely: the time and effort of senior staff in the store/shop/restaurant. Although it is certainly possible to outsource the campaign creation and measurement, the dialogue between visitors (foursquare mayors, Geotoko pricewinners, etc.) and the ‘brand’ will always remain a core activity of any company in consumer retail and services. So the truth is, with brand perception increasingly being created online by customers sharing presence and experience around a location, any company with a shop front is already part of LBM whether they control it or not. Geotoko is the first multi-site, multi-platform LBM Tool out there and is likely to gather a large following from agencies, brands and small business owners. ← There IS such thing as a free lunch!